Only one Indian has managed to make the cut. Dawid Malan is remembered for his superb century in the Perth Test at the WACA in the Ashes in December 2017. He was one of the positives for England in the dismal series for the visitors. But his career has fallen apart since then and has got the rare tag of being an ‘overseas specialist’ from the national selector Ed Smith. But Malan has continued plying his trade in County Championship and has started his season well with a century in the second innings. Meanwhile, the left-hander has picked his all-time eleven and has picked as many as seven England cricketers in it. Andrew Strauss is his skipper and will also open the innings as well along with the country’s favourite son Alastair Cook. The duo did extremely well for England especially in the longest format of the game and it comes as no surprise that Malan opted for them in his team. 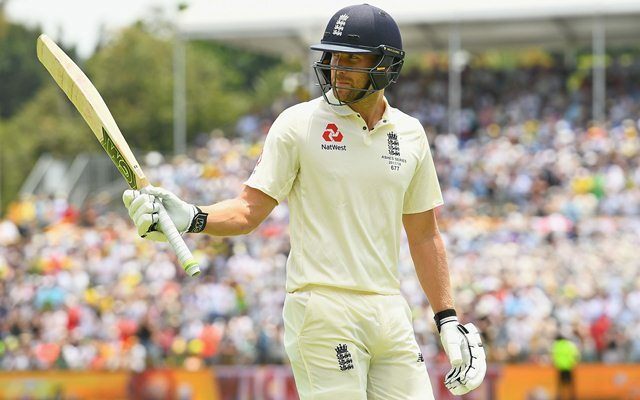 Having played with Joe Root, England’s current Test skipper, Dawid Malan preferred him at number three and looks a perfect bet. New Zealand‘s former captain Brendon McCullum and Australia’s Adam Voges will look after the middle-order in this XI while the dynamic all-rounder Ben Stokes will bat at six in Malan’s all-time XI picked for Lord’s Cricket Ground’s youtube channel. Adam Gilchrist will look after the wicket-keeping duties and can bat aggressively at seven. Stuart Broad, James Anderson and Steven Finn will be the pace trio. However, the most surprising pick in Dawid Malan’s team is the former Indian cricketer Murali Kartik. He is the only spinner in the team and makes up the five-man bowling attack. While it is startling to see seven England players in the team, Dawid Malan has picked a balanced team and with the presence of McCullum and Gilchrist, the lower-order looks dangerous. The bowling attack comprising of Anderson and Broad looks deadly as well. Here’s Dawid Malan’s all-time XI: Alastair Cook, Andrew Strauss (c), Joe Root, Adam Voges, Brendon McCullum, Ben Stokes, Adam Gilchrist (wk), Stuart Broad, Murali Kartik, James Anderson, Steven Finn.